Alter The Press! 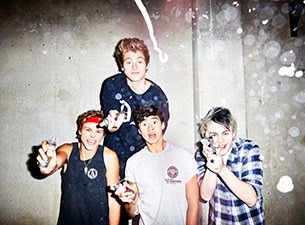 : 5 Seconds Of Summer Release Live Version of "What I Like About You"
5 Seconds Of Summer Release Live Version of "What I Like About You"
5 Seconds Of Summer have released a live version of their cover of The Romantics' "What I Like About You," which can be streamed below. The track is taken from the band's upcoming live album LIVESOS that drops on December 15th via Capitol Records. Pre-order your copy today via iTunes.